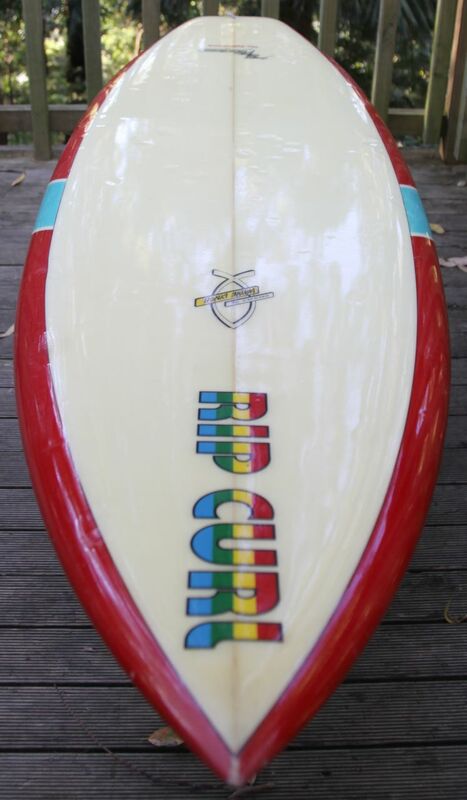 I'm so stoked to have gotten my hands on this board from the States. 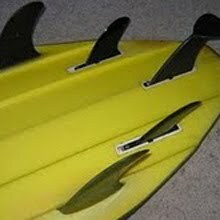 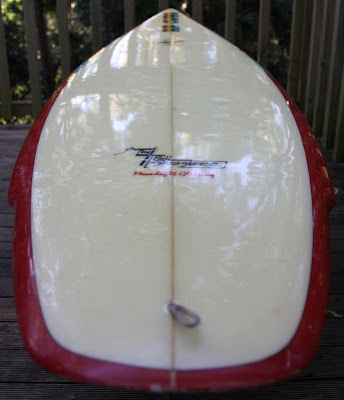 I love the early 80's 3 fin, single fly, wide rounded square tail set up. 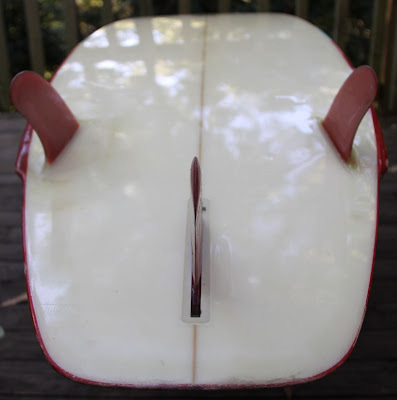 My guess is its one of the first batch of US thrusters, along side the Nectar thrusters Simon Anderson was doing. Plus its in such amazing condition. 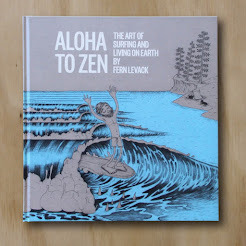 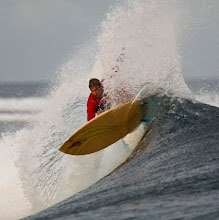 I love Wayne Lynch, who has always been one of my biggest surfing influences, especially during the 80's when he was living in a Tee Pee and only wearing all black wetsuits at the height of the flouro epidemic. 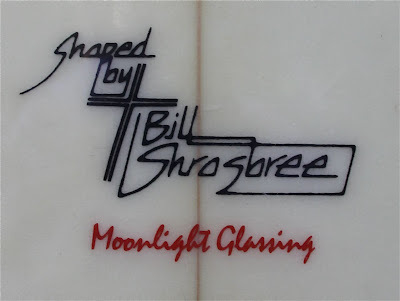 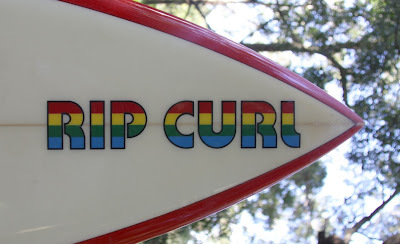 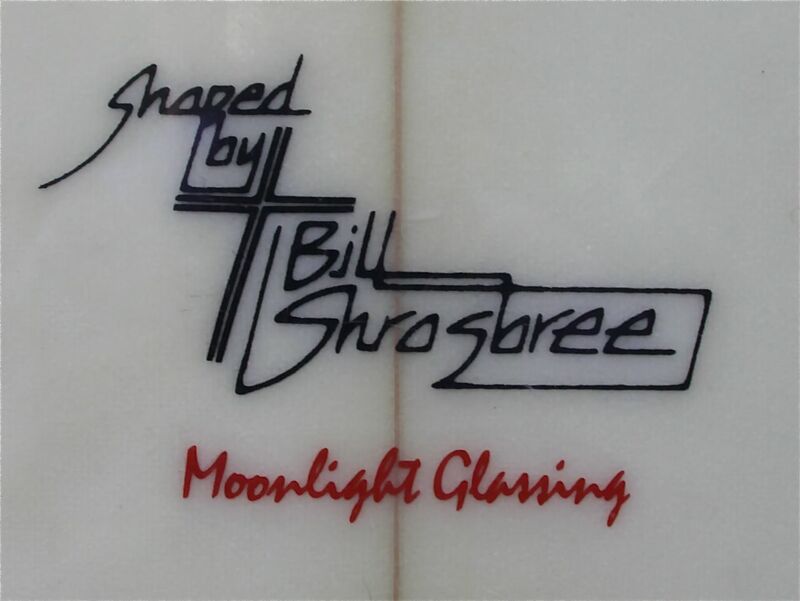 I love Surfy Surfy and the work of the guys at Moonlight Glassing and I'm so stoked to own an original Bill Shrosbree hand shape with airbrush by Peter St Pierre! 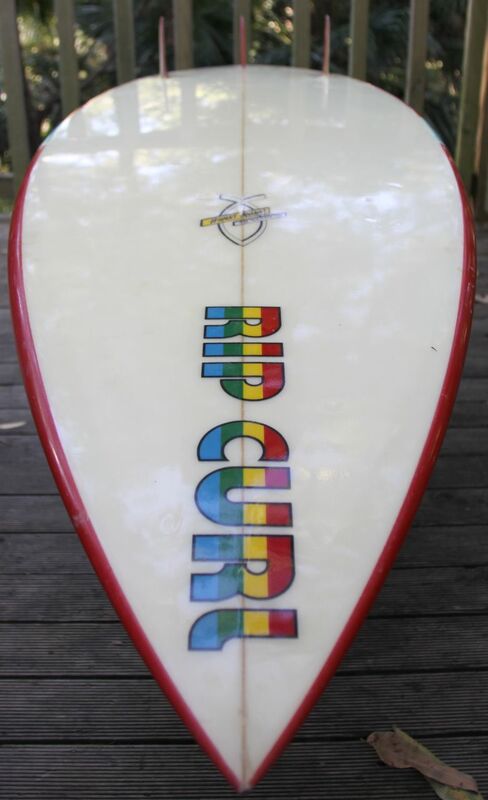 I love that its an 80's RIP CURL surfboard, because speaking from personal experience, I'm pretty sure that although RIP CURL made some beautiful surfboards in Torquay in the 70's they did not make a single RIP CURL surfboard in Australia in the 80's, as they were busy putting all their efforts into making pastel coloured poly cotton fleecy tracksuit pants out of China. 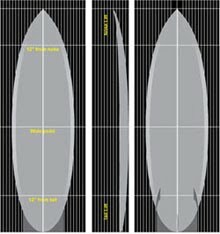 Correct me if I'm wrong. 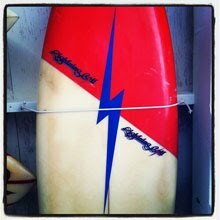 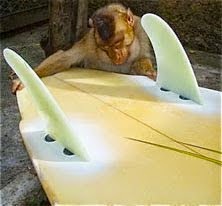 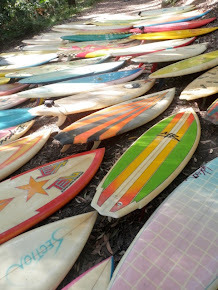 I love that my mate Tim in Hawaii found a similar board too! 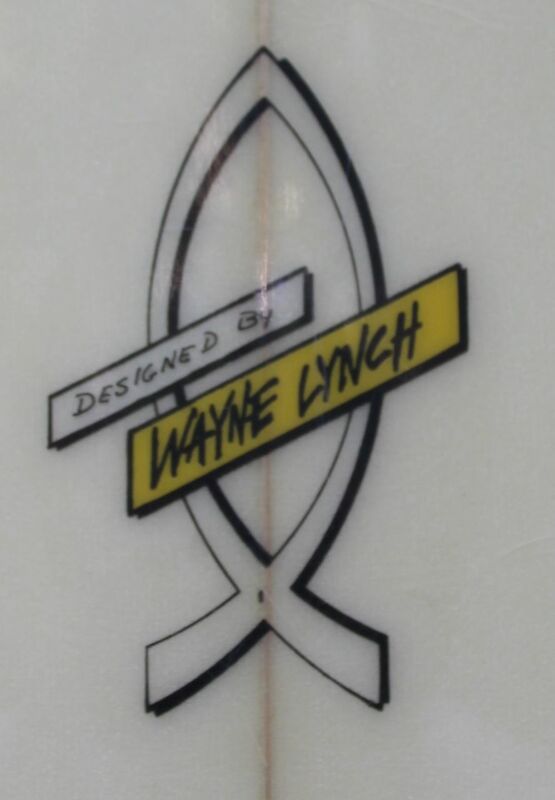 In a nice footnote John from New York has sent me a pic of his matching Wayne Lynch Moonlight glassing thruster with similar Peter St Pierre spray. Nice find. 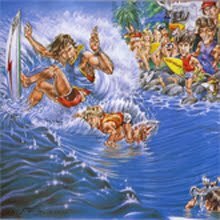 It was killer being 10, 11 years old and watching guys like Lynchy and Shros shape boards in the brand new Moonlight factory, which seemed absolutely huge to me back then. 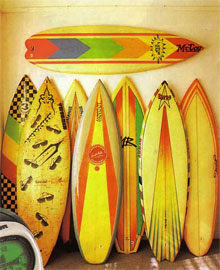 The airbrush is by my Dad, Peter St Pierre. 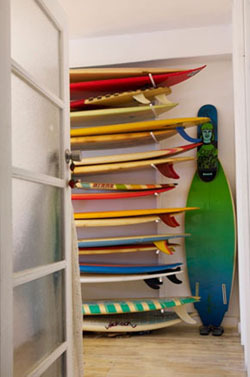 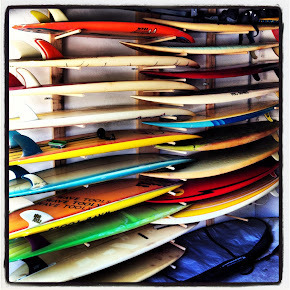 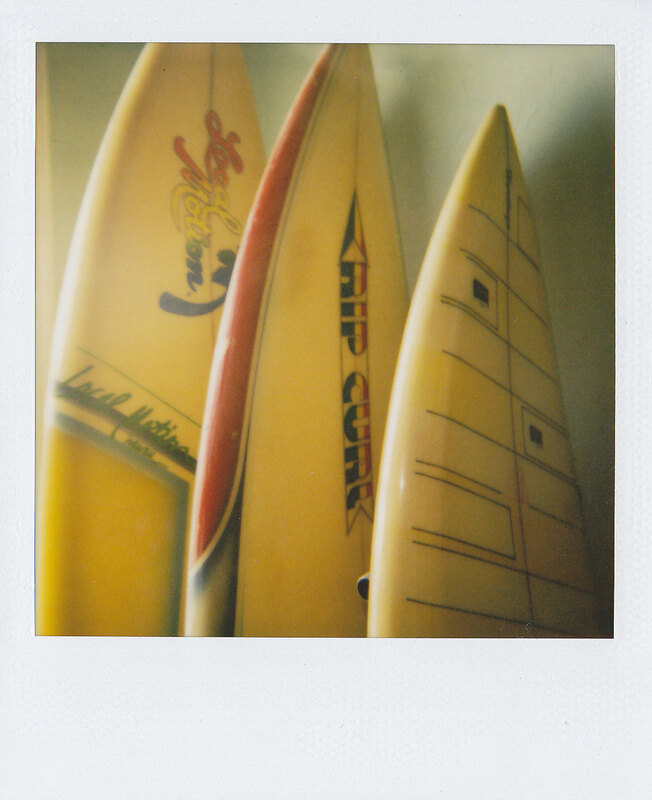 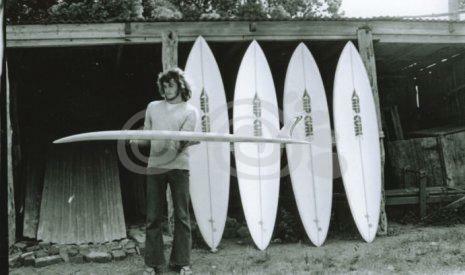 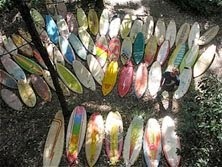 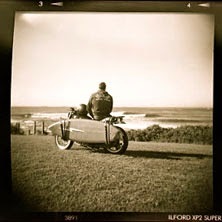 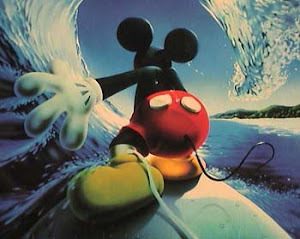 Bill Shrosbree is currently shaping some boards for the new Surfy Surfy Surf Shop so the beat goes on. 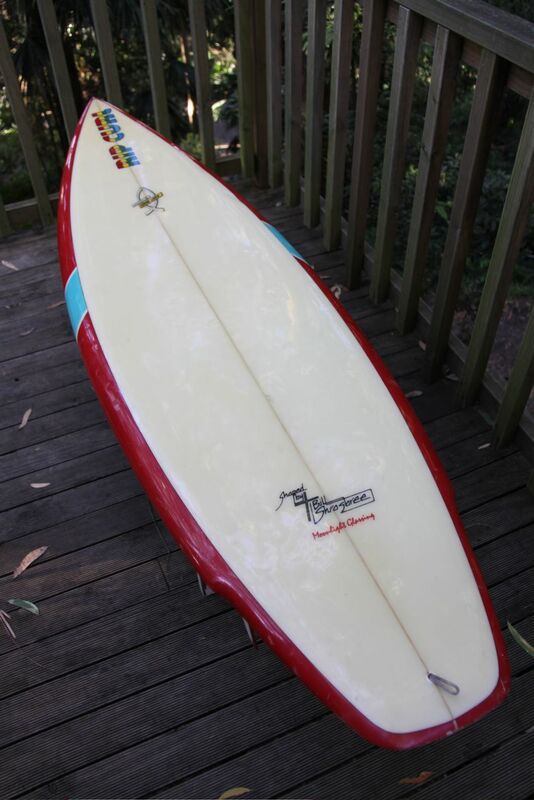 Kanofe mate!Great stuff takes me back and luv dem red rails.